Switzerland is a country as famous for its pocket knives as it is for its chocolate. But to travellers, Swiss fame is largely focused on its Alpine landscape. Beautiful and majestic, many visitors prefer to take in the scenery through activity, rather than mere sightseeing: skiing, hiking, hang-gliding and rafting are only a number of the outstanding opportunities the Alps award. 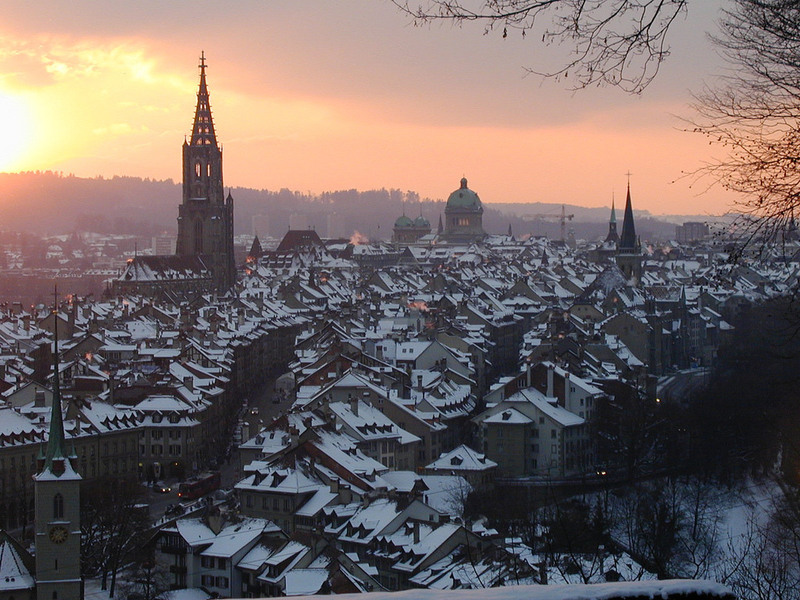 The oldest traces of hominid existence in Switzerland date back about 150,000 years. Archeological evidence suggests that hunter-gatherers were already settled in the lowlands north of the Alps in the late Paleolithic period. By the Neolithic period, the area was relatively densely populated. The oldest known farming settlements in Switzerland, which were found at Gächlingen, have been dated to around 5300 BC. Remains of Bronze Age pile dwellings from as early as 3800 BC have been found in the shallow areas of many lakes. Around 1500 BC, Celtic tribes settled in the area. The Raetians lived in the eastern regions, while the west was occupied by the Helvetii. In 1291, the cantons of Uri, Schwyz, and Unterwalden conspired against the Habsburgs. Their union, the nucleus of the Old Swiss Confederacy, is recorded in the Federal Charter, a document probably written after the fact, in the early 14th century. At the battles of Morgarten in 1315 and Sempach 1386, the Swiss defeated the Habsburg army, allowing the confederacy to continue within the Holy Roman Empire. The Swiss victory in a war against the Swabian League in 1499 amounted to de facto independence from the Holy Roman Empire. In 1506, Pope Julius II engaged the Swiss Guard that continues to serve the papacy to the present day. During the French Revolutionary Wars, the revolutionary armies boiled eastward, enveloping Switzerland in their battles against Austria. In 1798 Switzerland was completely overrun by the French and became the united Helvetic Republic, effectively abolishing the cantons. The Congress of Vienna of 1815 fully re-established Swiss independence and the European powers agreed to permanently recognise Swiss neutrality (Restoration). At this time, the territory of Switzerland was increased, by the new cantons of Valais, Neuchatel and Geneva. The major powers respected Switzerland’s neutrality during World War I. During World War II, detailed invasion plans were drawn up by the Germans, but Switzerland was never attacked. Switzerland was able to remain independent through a combination of military deterrence, economic concessions to Germany, and good fortune as larger events during the war delayed an invasion. In 1963, Switzerland joined the Council of Europe. Women were granted the right to vote only in 1971, and an equal rights amendment was ratified in 1981. Switzerland is not a member state of the EU, but has been (together with Liechtenstein) surrounded by EU territory since the joining of Austria in 1995. In 2005, Switzerland agreed to join the Schengen treaty.